The Juggernauts Gameplay Update, a set of champion updates for Darius, Garen, Mordekaiser, and Skarner, are all headed to the PBE soon! "These updates are made with the idea that: "We want every champion to feel meaningfully different from each other, and every game of League to feel different based on the champions being played." Continue reading for more info, including Skarner's new capturable shrines, Mordekaiser's ability to take control of Dragon, Darius entering a bloodrage, and Garen's bonus damage to the enemy team's "villain"! We’re primarily going to talk about the second goal here: getting all champions in League to feel different from each other through unique gameplay in addition to their themes and art. "Every game of League should feel meaningfully different based on the champions in it"
Previously when balancing champs, we’ve occasionally taken the approach of nerfing their strengths so we could buff their weaknesses. We’re not doing that here. Instead, we’re often entirely refocusing each champion’s power so that their highs and lows are both deeper and more differentiated from others in the same role. Rather than just diving in headfirst and tackling all the champions, our plan is to break them down into groups - tackling champions who share roughly the same strategic or tactical niche as others at the same time. By hitting a handful of champs at a time, we can address a few underserved groups, like the first set that we’ve affectionately referred to as juggernauts. Caveat: A lot of the following changes may sound like net buffs--and they generally are--but often times we didn't want to only add power, so we've shifted a lot of strength around to more focus these tanky melee carries on offering more unique identities with conditional power built on their range. You'll find more information in the patch notes, but we wanted to highlight our intentions here even if we aren’t going through the full changelist. Nasus. Darius. Garen. Skarner. When you think brute force, these champions should come to mind: powerful, durable, immobile and melee. They’re League’s hulking titans who, come late game, turn into super tanky carries who’ll pretty much destroy anyone foolish enough to get in their way. The prototypical juggernaut is Nasus, the classic one dog late game wrecking machine. 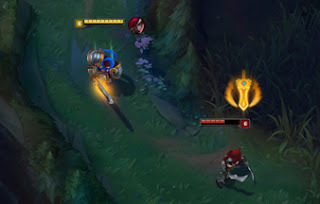 The archetypal raid boss can only do his thing when he’s in melee range, and his lack of gap closer means he often has to rely on allied speed boosts like Sivir’s On The Hunt or well-aimed crowd control like a Morgana binding to get close, but once he does, he unleashes the power of his trademark Siphoning Strike. 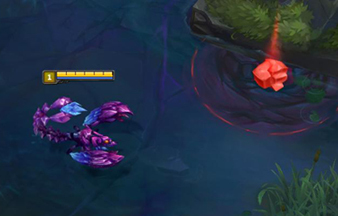 "When you think brute force, these champions should come to mind: powerful, durable, immobile and melee." This balance of power and peelability helps keep tanky melee carries in a good state and leads to distinct playstyles that belong to each champion. What we did with this update was we took a look at some of the juggernauts that occupied the same ‘tactical space’ as Nasus (we think there are a few more than these, but settled on four for our first set) and added a little more uniqueness where we could. We’ve always thought of Darius as one of League’s strongest cleanup fighters, the pentakill machine who’d outlast his enemies’ attacks before apprehending his wounded enemies and getting his chop on. The problem was, while that fantasy is great, Darius almost never got to do any of it. Either you’d build damage on him and die before it was cleanup time, or build tanky and lack the damage to properly get your dunk on. "Justice, by law, or by sword"
Garen’s an interesting champion to work on. He’s League’s preeminent “spin to win” champion, but doesn’t really bring enough uniqueness to the games he’s in. What’s more, when late game comes around, the Might of Demacia turns into the Meek of Demacia and falls off so hard he doesn’t do much other than occasionally tell people - very loudly - where he’s from. We wanted to balance Garen out a little, so we tinkered with his power curve to make him weaker early but stronger come late game, and then added a fancy new passive to the big man’s ult. We’re trying Mordekaiser out as a duo lane juggernaut, intended to step up in lieu of a regular marksmen pick. Morde’s rework has some pretty unique aspects. 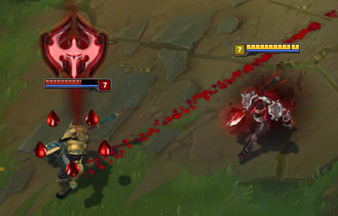 For starters, Creeping Death now only deals damage if Morde and his targeted ally stay near each other, a change intended to help entice Morde into duo lanes the way we mentioned. Secondly, even if he’s playing in lane with a support, he’ll earn full experience from any minion he’s able to last hit (support will get their usual half share of xp). 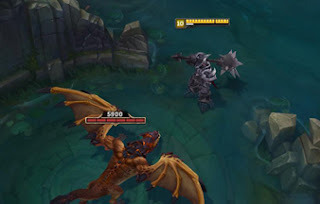 This means that Mordekaiser, unless he dies horribly beforehand, will always hit level six way before his lane opponents, and will always have a pretty handy advantage when it comes to bot lane battles and early game dragon contests. Whenever he deals damage specifically to the dragon, Mordekaiser curses it - if his team’s then able to kill it, Morde summons a specter of dragon that follows him around and fights for him. If you’ve ever thought about watching dragon and Baron duke it out... well... now you can. Obviously these are some pretty significant updates that are, as ever, subject to change, but hopefully we’ve shown you some unique and different angles for the juggernauts we’re looking at and how we’re looking to diversify champs in similar spots. We’ve plans for other tanky melee carries (specifically Shyvana and Olaf), and broader plans beyond that for the entire champion roster. Again, our goal is that every champion in League has specific reasons to be picked, or brings a unique and awesome thing to each game. There’ll be more info in upcoming patch notes, but in the meantime, let us know your thoughts in the comments below.